A search utility to find the cheapest ammo, mags, guns and reloading supplies! 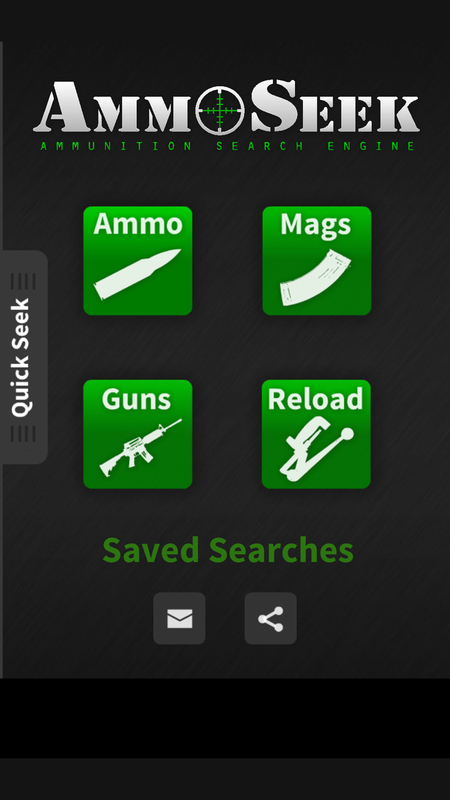 The Ammoseek app is available on both Android and iOS! Download now to start saving! Popular calibers are available from the main menu with quick references to the lowest price available. Every search result includes the ammo condition, casing, grain, quantity and even shipping cost ranking. Save your favorite searches for quick recall!